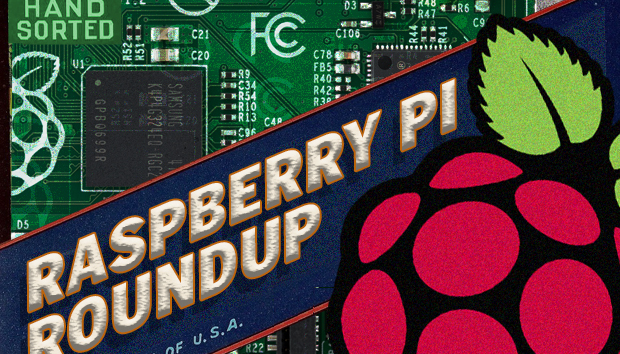 One reason the Raspberry Pi’s runaway success has been a fun story to cover is that it’s very non-corporate – there’s relatively little branding silliness or careful PR stage management involved, and journalists like me instead get to write about an inventive little tool that is letting normal people around the world accomplish interesting and creative things. Yet the business side does, occasionally, rear its ugly head – late last month, U.S.-based electronics vendor Avnet purchased Premier Farnell, one of two licensed manufacturers of the Raspberry Pi, for about $900 million. Avnet, which outbid the Swiss company Daetwyler Holding AG for the privilege of owning U.K.-based Premier Farnell, is the latest overseas company to take advantage of the relatively weak British pound in the wake of the Brexit vote, according to the Wall Street Journal. Trident is the second underwater drone made by OpenROV, the first being an eponymous device released in 2012. It’s powered by a Raspberry Pi 3, annihilated its $50,000 Kickstarter goal to the tune of more than $815,000, and will set you back $1,200 if you pre-order it. Seriously, just look at this thing – it’s like the offspring of an Xbox and a mini submarine. Very cool. You'd rather a surface vessel? Or if surface vessels are more your thing, a gentleman by the name of Ufuk Arslan has taped his Raspberry Pi to Amazon’s Alexa to create a voice-control module for his sailboat. According to the Raspberry Pi Foundation’s blog, he got the idea because he kept forgetting to turn the boat’s lights off at night, which drains the batteries. Rather be up in the skies? Perhaps you’re not an aquatic person at all, and you’d rather keep an eye on the skies. For $115, you can turn a Raspberry Pi into an ADS-B receiver that pushes data to your smartphone about the aircraft in the sky near you. Network World’s got the story from IDG News Service reporter Magdalena Petrova, who built the receiver from plans provided by Gediminas Ramanauskas, a pilot and engineer who participated in the latest Maker Faire Bay Area. It’s really pretty simple – the ad hoc ADS-B receiver takes in signals from nearby aircraft and sends them via Wi-Fi to any one of several apps on your phone or tablet that can interpret the information and plot it onto a map. Personally, I’d like a version of this that can map aircraft onto your phone’s camera, like Pokemon Go for planes.